In the Old Testament people were urged to come and see what God was doing in and for the people of Israel. Now as we look back to the death, the resurrection, the ascension of Jesus and the giving of the Spirit we are urged/commanded to go and tell ! Jesus is My King…Do you know Him? Jesus is our King! As His ambassadors we proclaim His Lordship and seek to spread His fame to all nations, peoples, tongues and tribes! His great love compels us. His mercy and grace fills our hearts and lips with praise and worship! His faithfulness assures us. His promises are always kept and comfort us through all the trials of life! His power is ultimate! In His presence we find fullness of joy in Him and want all to know Him! Jesus is the King of kings and is worthy of all worship and adoration!! 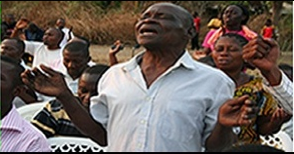 Lord, please use us to help the Congolese in their battle with malaria as we proclaim the gospel there! 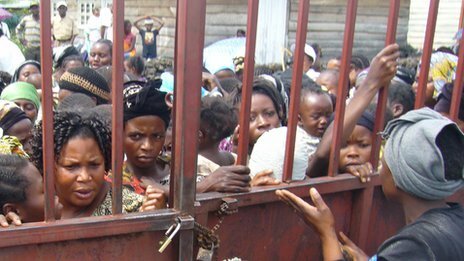 On a muddy back street on the outskirts of Goma, in the eastern Democratic Republic of Congo, more than 100 women are laying siege – with cheerful determination – to the rickety gates of a small clinic where aid workers are handing out free items. It is a familiar scene in a region still rated one of the poorest, and most dangerous, in the world. But instead of the more familiar search for food, shelter or medicine, the women here – many displaced from their homes by years of conflict – are after nets: cheap, simple, insecticide-soaked, life-saving, mosquito bed nets. “Malaria is the main killer here in Congo, especially for pregnant women and children,” says Dr Vincker Lushombo, from Save the Children, watching as each woman’s details are recorded, and a net handed over with brief instructions. That is just the start of it. Mosquito nets are all the rage in Africa – and with good reason. In the past few years, the continent has been draped with tens of millions of bed nets, as a faltering, half-hearted campaign against malaria is transformed into an invigorated, celebrity-endorsed, global campaign to try to eradicate the disease by 2015. In some countries the results have been spectacular, with malaria deaths cut by more than a half. 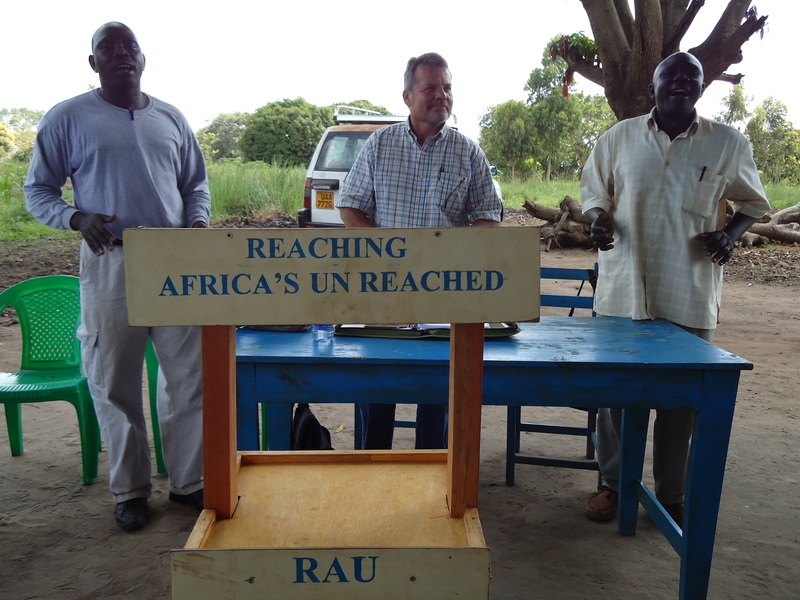 Campaigns like this, and huge distributions from partnerships like the Global Fund have led to 50% of households in sub-Saharan Africa having at least one net. This figure was released this month by the World Health Organisation’s annual Malaria Report. There is good news here. The same report gives encouraging figures – testing for malaria has nearly doubled across sub-Saharan Africa, which means people can be treated faster. The challenges around the corner are familiar, though – lack of aid from donor countries means the fight against malaria loses a quarter of its funding. The WHO is asking the Bric countries [Brazil, Russia, India and China] and the US to do more. But there is also some less encouraging news. In the green hills around Goma, the net campaign is struggling – despite the odd success story – with no indication yet that overall malaria rates are falling. Some health experts privately warn that the overriding focus on nets is in danger of becoming “an obsession which distracts from the need to address the root causes” of the disease. DR Congo is a hard place to help. Its landscape is heavily forested and stagnant pools form easily after the heavy rains. There is little drainage and little access to heavy machinery to create channels to drain off rainwater. Roads are poor and so access to outlying areas difficult. Two decades of conflict and chaos have destroyed key infrastructure and left many families in the east living in makeshift camps, often exposed to malarial swamps. “It’s a struggle,” says Corry Kik, who has almost two decades of experience in the region with Medecins Sans Frontieres (MSF). The nets often end up being resold or “used for other purposes, like fishing. It’s hard for people to change their behaviour. It’s about education”. She also told us that many families will spend what little “spare” money they have on other goods like a mobile phone, rather than a bed net. More than half the people treated by MSF here have malaria. “We need to be more aggressive in targeting prevention, spraying houses” – with insecticide and draining waterlogged areas where the mosquito breed, says Ms Kik. Nets, she believes are not “the only answer. They are part of the answer”, but she feels there is “sometimes” too much focus on them. Back in Goma’s slums, 25-year-old Mapendu Mwamini has just collected her free bed net from the clinic, and is now tying it to the wood and cardboard walls of her small bedroom. She fled to the town in 2007 to avoid fighting in the countryside. Today is the first time she has ever used a net. Over the years, she and her husband have struggled to pay for medical treatment for the family. “We’ve all had malaria,” she says. Two years ago, her five-month-old baby died from the disease. “I know I must use the net to save my other children,” she says. But she has 10 children in all. I learned a new word —“passionary“. I know it is not a “real” word but I like it! Lord help me…help your people to be passionary! “…Paul’s spiritual psychology is instructive. He’s not a reluctant ‘missionary’ on assignment. He is what I call a ‘PASSIONARY‘. There is a huge difference between mission and passion. Mission is required; passion is acquired. Mission is duty; passion is delight. Mission says, ‘I HAVE to witness, passion says, ‘I GET to witness!’. If all you have is mission, that’s okay–It’s not hypocrisy to obey orders despite a deficiency of passion. But the more you ‘mish’, the more you will acquire the inner fire that Paul showed in Athens (See Acts 17)…Meditating on missions is meaningless without movement. When God stirs your spirit, He loosens your tongue, rattles your routine, and gets you off the couch”.– Chris Anderson in Gospel Meditations for Missions . Lord, here I am, send me! 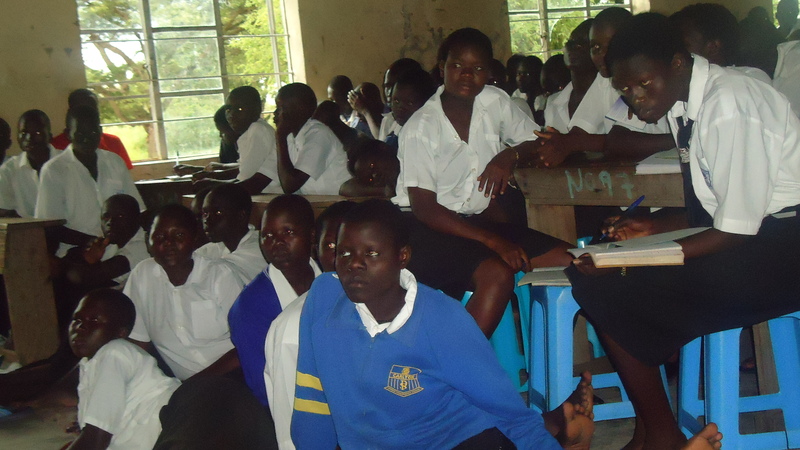 North Ugandan students hearing the glorious gospel proclaimed. I highly recommend What Is the Mission of the Church: Making Sense of Social Justice, Shalom, and the Great Commission and Gospel Meditations for Missions. Gospel Meditations for Missions is a 31-day devotional intended to stir Christians with the urgency of the Great Commission.